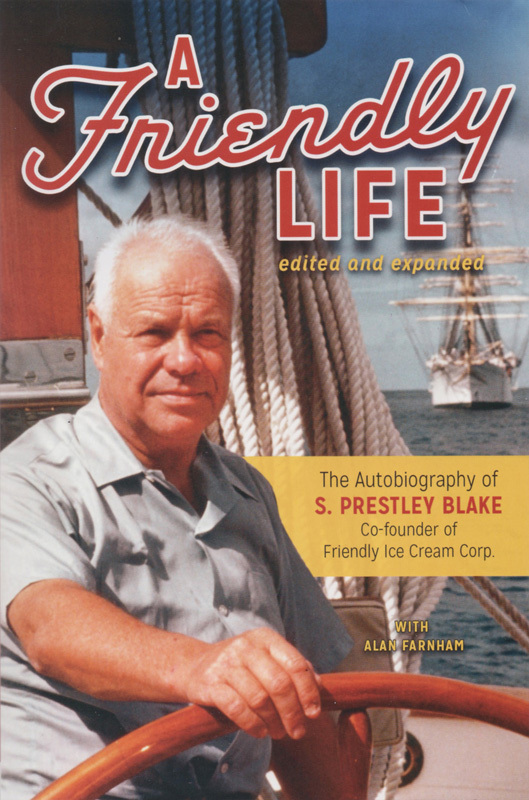 The Autobiography of S. Prestley Blake, Co-Founder of Friendly Ice Cream Corp.
S. Prestley ("Pres") Blake has lived the American dream. In partnership with his brother Curt and with the help of his parents, Pres started a small ice cream shop in Springfield, Massachusetts in the depths of the Great Depression. The brothers worked long hours, making ice cream at night and selling it during the day. From those humble beginnings, they created the Friendly Ice Cream Corporation, a 500+ restaurant chain now known as Friendly's. After selling Friendly to the Hershey Corporation in 1979, Pres set off to enjoy his leisure time with adventures around the world. But his retirement was interrupted at age 86, when he felt obligated to file a shareholder's lawsuit against the new management team that owned Friendly's. Today, fourteen years and eleven million dollars later, Pres is pleased with conversations he's had with current Friendly's management about the future of the company. ​Pres Blake's life story is an inspiration to anyone who works hard, asks for advice, and gives back. If I could do it says Pres, so can you. "​What amazed me the most about A Friendly Life is how down-to-earth Blake sounds. He's made millions of dollars and he has a great head for business, but he doesn't come across as a know-it-all. He is able to give some fabulous advice in his Epilogue. I won't share any of it, because you really need to read it directly from him. It's powerful." "Now and then, along comes a book that gives the reader that 'Yes, you can!' feeling. That is precisely what A Friendly Life provides. " "A great autobiography of a guy who partnered with his brother to start a small ice cream shop during the Depression...a lot of useful advice in this book."